If you’re looking for a way to get more people eating your bread, then bake nutritious bread. Consumers are searching for healthy foods; foods that fit into their diet and lifestyle. So a bread that also meets dietary fiber goals? Win, win! How much fiber is this nutritious bread? 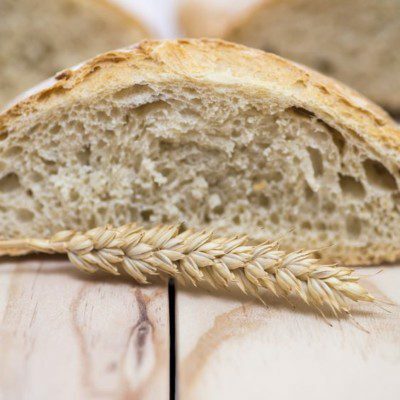 To fit into this category, the bread must be a whole wheat or whole grain that is enriched with extra fiber and contains at least four grams of fiber in a single serving. The FDA requires high fiber foods must have 20% or more of the daily reference intake (RDI) of fiber. How do you add fiber? Just remember, adding these ingredients means the texture of your bread will change. Bread softeners and gluten can help with texture and volume. Other ingredients can be used as well to offset the extra fiber. The ionic surfactant sodium stearoyl-2-lactylate (SSL) can increase the dough stability due to the interaction of surfactant with protein, lipids and starch. The hydrocolloid (Hydroxypropylmethylcellulose, HPMC) is observed to increase the interface activity between water and the non-aqueous phases of the bread dough favoring the formation of emulsions and strong uniform film. Carbohydrase can be used to degrade the fortified polysaccharides and decrease its negative effect on the bread quality. Are You Ready to Label Bioengineered Food?